Hi all! Welcome back to Sepia Scenes. What will you have for us today? This sad young girl holds a cross and flowers. I got the antique effect by using Curves in Adobe Photoshop 7. Please sign Mr. Linky if you have a Sepia Scenes post for us. Don't forget to visit your blogger friends posts as well. Beautiful job. Photoshop is such a powerful program. You can do some amazing things with it. Wonderful photo today. the antique look suits her. nice job Mary. Sad but a gorgeous image. Very nice! The antique look suits the picture very well! A sad woman but it's a lovely statue. Nice sepiafying. She looks so gorgeous in sepia. Love the gloomy feeling. I love all the cemetery statues you find. Each is always so different from the last. I noticed a couple of cemeteries this winter I want to try to get too myself because your sepias have always been an inspiration. I hope I did this right. Happy Wednesday. Lovely even though with the hint of sadness. Well done, Mary. It looks very much like an antique photo. The curves effect sounds interesting. 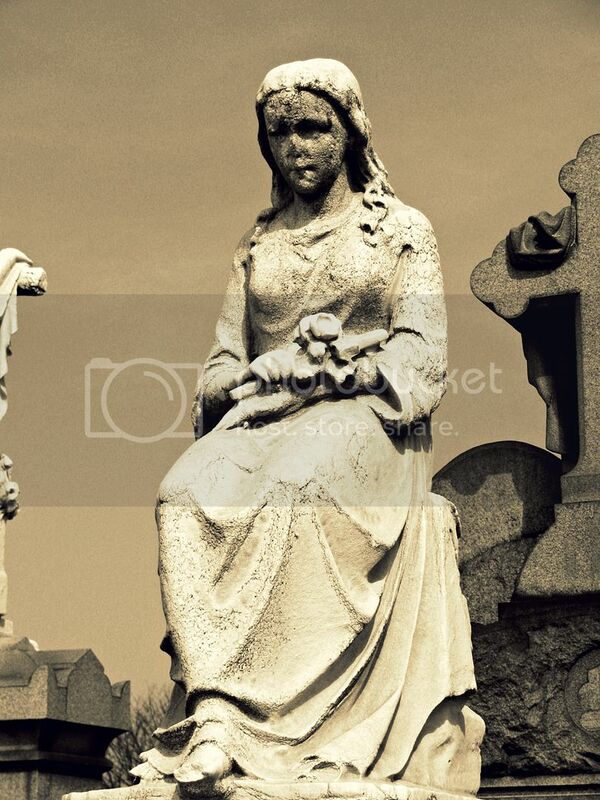 That special effect adds to the 'crumbling away' mood of the terribly sad statue. Hi, that is a lovley shot and great in sepia. This is my first time here. 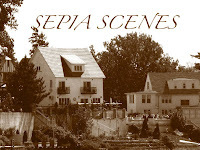 I actually have several photos in my sepia scene.... some of which are NOT sepia... I found the contrast to be great fun so I hope that is ok...love the image here... statues like these are among my favorite. aww she does look sad but she's pretty too! She looks very sad. Have a great day! Just came back online after months offline. I used to enjoy doing Wednesday's Sepia Scenes and am now doing it again. Thanks for such a great meme.